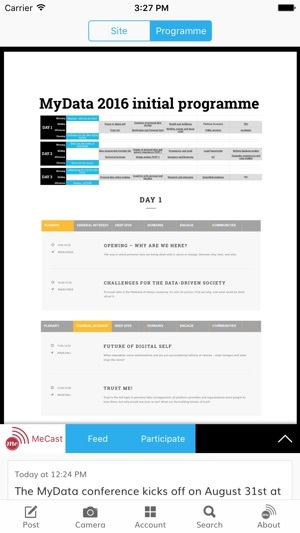 MyData 2016 is a three day conference in Helsinki for thought leaders, entrepreneurs, academics, policy makers and executives, focused on developing the ecosystem and advancing collaborative approaches to human centric personal data products, services and and frameworks. 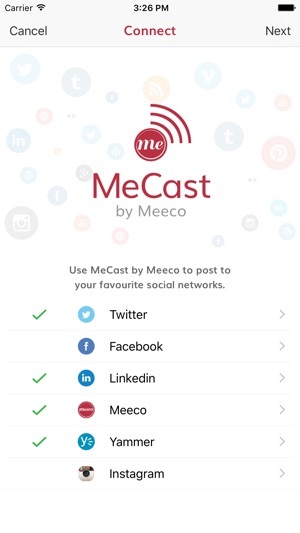 The MeCast App makes it quick and easy for you to post to your social networks from one place, whilst also creating a personal social timeline in your personal cloud. This is social in your control and on your terms. 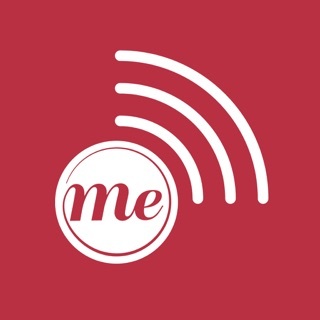 And better yet, whether attending the conference in person, or observing from any corner of the globe, you can engage with speakers and topics through both MeCast and the Participate tab powered by Screen.io. 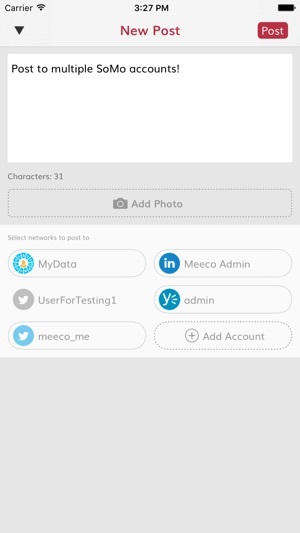 Simply tap on the MeCast tab in the App and follow the prompts to connect your social accounts. 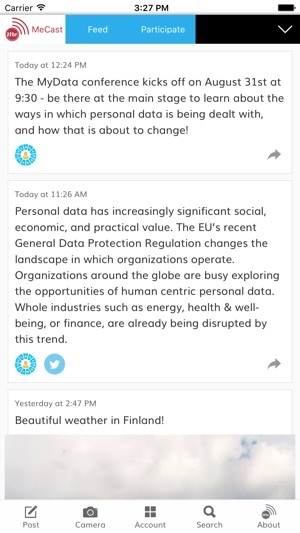 Use MeCast to search your timeline for key words and #tags. Searches will return the post including the networks you have posted to. MeCast makes social sharing easy, it also helps you control your own story by backing up your posts (including photos) to your own personal data store. The MeCast Timeline gives you an automatic back up on your mobile device. 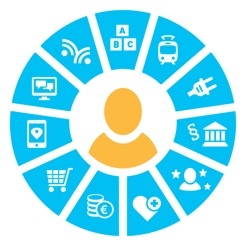 If you are a Meeco Member, you can add your MeCast Timeline to your Meeco dashboard to view and search your personal Timeline on other devices.